Getting a new wooden window frame can give your house a brand new look from the outside. However, although wood is a beautiful natural material that can stand the test of time, it still needs to be protected from the elements. After installing wooden exterior windows, you won’t just need to prep windows, you’ll need to give them a thorough paint job for that extra layer of protection. This can be a messy job, but don’t worry. As long as you know what tools to use, you should be able to scrape away any dirt or mildew without any worries. 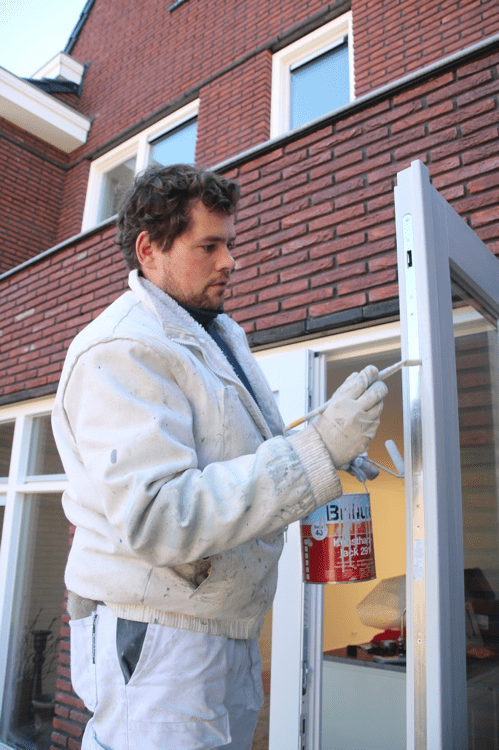 Your window frames need to be repainted every so often, so don’t slap on a coat of paint that’s just going to end up peeling after a rain shower. Once you learn how to paint your window frames the right way, you’ll be making way less work for yourself in the long run. For tips on how to get your wooden window frames looking great, click here or read on. To create a perfect exterior, you’ll need to take the time to treat any sections where you see dirt, growth, or damage. Since exterior window frames are often subjected to extreme moisture, cold, and harsh winds, you might have to treat the outside of your window with a targeted cleaner, scrubbing until your area is free of mildew and dirt. Since your window exterior is wooden, be careful about scratching and staining. Only use gentle cleaning agents that you know won’t deteriorate or stain the area, and don’t use a too-aggressive brush to clean. You may need to go over a specific area several times to get it completely clean. After you’ve cleaned up, it’s time for a more serious clean around the edges of your window frame. 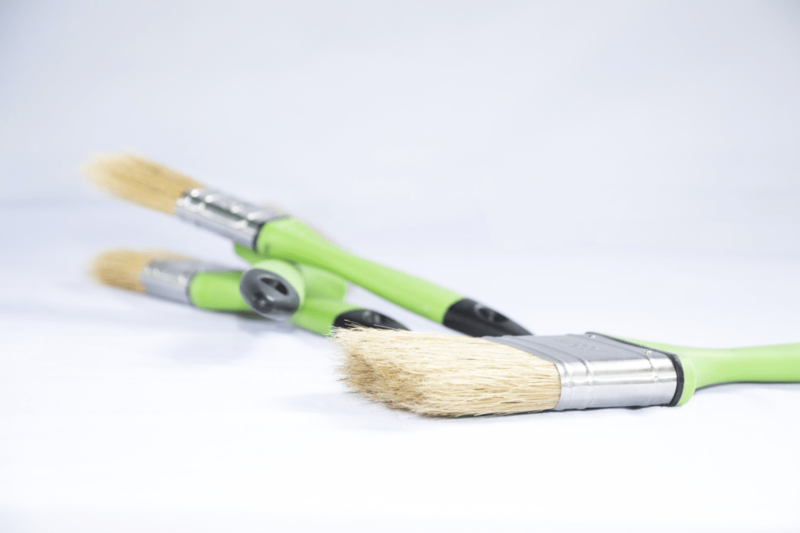 Using a utility knife or a painter’s tool, shave off any excess caulking or weatherproofing materials you find, using smaller, more precise instruments to get into the corners. If you come up against more stubborn patches of caulking, you can use a sanding tool to shave these off. Once you’ve removed all caulking, paint shavings, and wood dust off of your sill, you’re reading to begin prepping your window for painting. Caulking doesn’t just serve a practical function of keeping all your window’s gaps firmly sealed during a cold front. It can create the perfect base for painting, especially in areas that are irregular, overly-sanded, or hard to reach. Keeping your window completely sealed off from the outside will prevent any drafts or moisture from seeping through. This is especially important if you live in a moist climate with a lot of rain or long winters. Once you’ve patched up all the cracks, you’ll be able to create a sealed surface on which to paint. However, before you purchase the wrong materials, make sure you get painter’s caulking at the hardware store. This will allow you to paint over the area much more smoothly without having to worry about the paint chipping off. Before painting, you’ll want to see if your window is already suffering from too much moisture. Since wood is porous and tends to swell with moisture during hotter weather, you want to make sure your frame doesn’t need to be replaced before you go through the effort of painting it. To check your window frame’s moisture level, use a moisture meter tool to gauge whether or not your window needs to be replaced. Check all around the window, including hidden areas and harder-to-reach places that might be retaining moisture. If the meter shows retention above 12 percent, you may need to replace your window since your paint job will not be able to properly stick to the surface. Anything lower than a 12 percent read should be fine for painting. You’re almost ready to paint. All you need to do is tape up the edges of your window to keep your paint job clean and start coating your frame with primer. The primer you choose should be able to resist mold and mildew to further protect your window and your coat of paint from harm. Work from top to bottom, allowing your primer to air dry. After you’ve set your primer, you can start going in with your paint. Using even strokes, move from top to bottom, painting the inside of your window as well as the outer frame. When you’re finished applying several coats, remove your take to reveal a perfectly-painted window trim.